Often referred to as ‘The Original Paradise’ Sri Lanka is a diverse land with an amazing blend of golden beaches, historic temples and sites, rivers, lakes, waterfalls and wildlife. Spectacular steep winding roads lead to dreamlike misty hill stations providing glorious views of lush tea plantations in Sri Lanka. Doing a tour of Sri Lanka is well worth it. Sri Lanka is a great value for money holiday and is a fascinating country to visit. Wedding and honeymoon holidays in Sri Lanka are also very popular. Apart from the wonderful beaches of course - with nearly 1600km of palm fringed coastline sun baked to perfection - Sri Lanka is a country full of history and culture. With a history expanding over 3000 years, Sri Lanka holds some of world’s most ancient cities including Anuradhapura, Polonnaruwa, Mihintale, the mountain monastery where Buddhism was first introduced to the island in 247 BC, and, of course, Kandy, home of the Temple of the Tooth. A climb up Sri Lanka’s imposing rock-fortress, Sigiriya, will reward you with breathtaking views of the surrounding area. Sigiriya is a 5th Century AD fortress, and a water garden displays some of the most futuristic elements of landscaping and some of the oldest murals recorded in the country. Of all the ancient cities of Lanka, the most famed and most exquisite is the Kingdom of Anuradhapura. Sri Lanka’s third and the longest serving capital and one of the oldest continuously inhabited cities in the world is also one of the most sacred cities of World Buddhists. It was the capital of Sri Lanka from 4th Century BC up to the turn of the 11th Century. Sri Lanka also boasts a rich array of plants and animals. Of the 91 species of mammals found in Sri Lanka, Asian elephants, sloth bear, leopards and wild buffaloes engage the majority of the attention of wildlife enthusiast. Meanwhile the ocean around Sri Lanka is home to large families of cetaceans including the mighty blue whales, sperm whales and dolphins. Altogether 26 species of cetaceans rule the waters surrounding the country, making it one of the best locations for whale and dolphin watching. But, birds are the glory of Sri Lanka’s wildlife. Boasting nearly 433 bird species of which 233 are resident, Sri Lanka holds 20 endemic species while another 80 species have developed distinct Sri Lankan races, compared to their cousins in Indian mainland. Please note that Sri Lanka’s west coast is affected by high tides and coastal erosion during the monsoon season (May-Sep) when beaches can all but disappear! Sea bathing in general is inadvisable due to rough seas and strong undercurrents. Always seek the advice of the hotel/local representative. 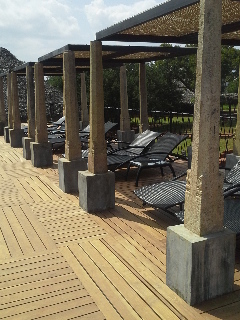 The resort is a really unique and scenic place. It is a magical paradise accompanied by the music of the sea. The main building has been built on the reef in such a gentle way that guests can enjoy breakfast facing the reef. The resort has a very strong.. The complex is designed especially for nature lovers and guests who want to relax in a peaceful surrounding. It consists of 22 comfortable wooden cabanas on stilts now, scattered around a secluded beachside palm-grove, considerably separated from each..
Aliya Resort and Spa is a great choice for accommodation when visiting Sigiriya. From here, guests can enjoy easy access to all that the lively city has to offer. A well-kempt environment and its proximity to Pidurangala Temple, Sigiriya Rock give to..
Set right next to a stunning, crescent-shaped sandy beach lined with luscious palm trees and green forest in the Bay of Passikudah, this resort hotel provides modern comforts and amenities for a carefree holiday in Sri Lanka. Nature lovers will enjoy.. 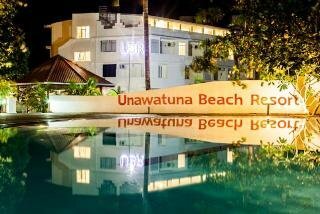 Located right beside the sands, the Calamander Unawatuna Beach lies 4 kilometres from the historic town of Galle. 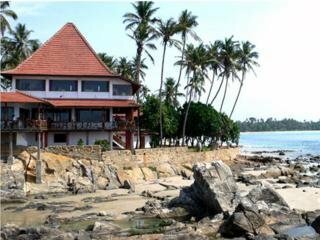 Its beachside restaurant is a popular dining spot for guests both in and outside of the hotel, offering a full service menu, generous buffet..
Cosy rooms inspired by Sri Lankan charm. Stunning views over the mist-covered mountains. Modern technology you can't do without while traveling. Sublime beds that'll give you sleep so deep, you'll be waking up before the alarm goes off with ease. Start..
Shinagawa Beach is situated on a sparkling stretch of sandy beach and provides its guests with the most contemporary of comforts, all with a touch of magic making it an ideal retreat for those seeking a bit of luxury. The pool is an ideal spot to while.. The Siddhalepa Ayurveda Health Resort and Spa is spread over seven acres of tropical & indigenous trees, herbal medicinal plants, vines and bushes, as well as overlooking the Indian Ocean. It offers a holistic experience; this is provided under the expert.. The hotel stands on a private 3-acre hill, surrounded by lush greenery with a stunning ambience and unforgettable backdrop. This is a boutique-style hotel with opulently designed rooms and exclusive services. Hotel facilities include complimentary tea,.. 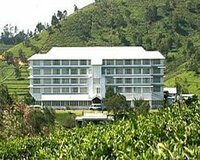 The Tea Factory Hotel in Nuwara Eliya is set in an emerald garden at a height of 2200 meter above sea level. This premiere establishment is among the 4 Star Hotels in Nuwara Eliya and a popular destination for the tourists among the Hotels in Nuwara Eliya..
Soak up the true spirit of Sri Lanka at Trinco Blu by Cinnamon, a haven of peace and tranquillity with an emphasis on chic surroundings and superlative service. Just 4 miles north of Trincomalee on the eastern shores of the island, Trinco Blu has magnificent.. Tropical and Mediterranean architecture combine to create an impressive resort of the beautiful bay of Passikudah. Each guest accommodation has views of the surrounding Indian Ocean through its palm fringed gardens, offering an exotic getaway with all..
Anantara Kalutara resort and Spa offers the ultimate in relaxation and luxury, with 141 rooms, suites and villas, in a stunning location, with views of the Indian Ocean and the Kalu River. A sanctuary surrounded by lush tropical gardens with Coconut and.. Welcome to newest hotel, Anilana Nilaveli. Located on the quietest part of one of the best beaches in the world, this stylishly designed resort is an intimate and luxurious escape for you to relax and enjoy some luxury, good food and the natural beauty.. 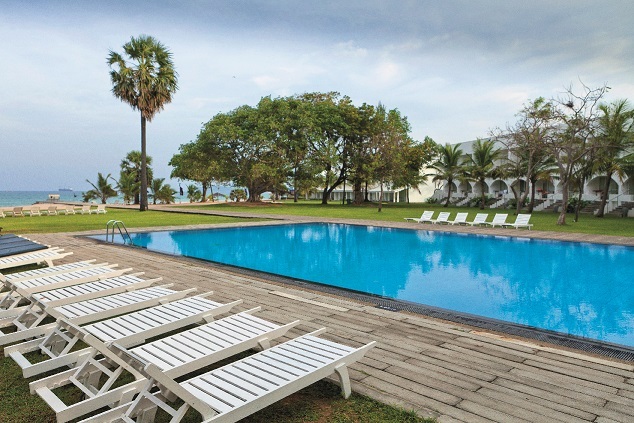 The Citrus Waskaduwa is situated right along the beachfront in Kalutara, Citrus Waskaduwa features dining options, an outdoor pool, a spa and a fitness centre. Free Wi-Fi access is provided in its public areas. 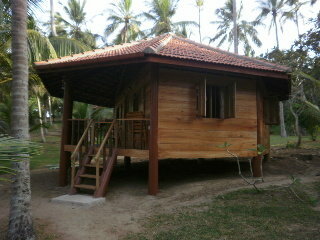 The property is 61 km from Bandaranaike.. The Club Waskaduwa is where the sun, sand, sea, and surf conspire to give you the perfect getaway. Greeted at the hotel lobby with breath-taking view of the sea, this 5 star resort offers a array of facilities and services. Guests can indulge in pampering.. Located on Sri Lanka’s south-west coast, Heritance Ahungalla is a beautifully designed hotel that takes its style from a traditional rest-house, with internal courtyards filled with greenery and stylish, yet minimal, decoration. Designed by Geoffrey.. Designed by internationally-renowned architect Geoffrey Bawa, Jetwing Beach can be found on the beautiful golden sands of Negombo, Sri Lanka. The elegant hotel is just 43 km away from the capital city of Colombo, making it an easy and short trip for..
A stylish beach hotel that offers excellent service, luxurious surroundings and a range of home comforts, Jetwing Blue is one of the distinctive Jetwing hotels that together make up Sri Lanka’s premier resort brand. This trendy hotel is based.. 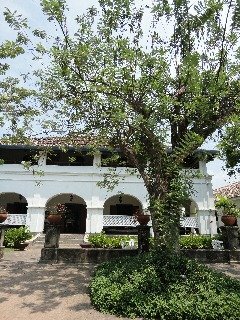 Located on the edge of the town of Galle, Jetwing Lighthouse is an elegant hotel that shares the sun, sea and sands of the southern coast of Sri Lanka. The hotel has an old world charm, designed in a minimalistic way that gives an air of sophistication,..
Movenpick Hotel Colombo welcomes guests with a restaurant and bar. The hotel has an outdoor pool and sun terrace, and guests can enjoy a meal at the restaurant.Every room at this hotel is air conditioned and is fitted with a flat-screen TV with cable..
Overlooking the pristine southern coast of beautiful Sri Lanka, the resort is located along the ancient Spice Route in a city steeped in rich history. 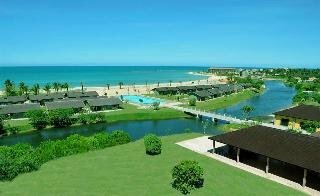 Hambantota is known for its natural beauty and wildlife, allowing visitors to explore Asia’s most.. Located in the idyllic town of Wadduwa, The Blue Water hotel sits on the shores of Sri Lanka’s west coast, nestled within wild coconut groves and overlooking the clear blue ocean. 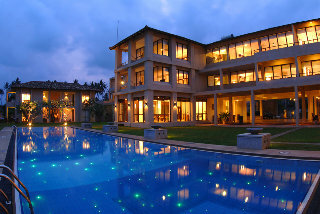 Located 32 km from the commercial capital of Colombo, The Blue.. Designed in the style of an imposing and powerful fortress, The Fortress Resort and Spa combines Sri Lankan elegance with Portuguese and Dutch styles to produce a magnificent and unique holiday resort. 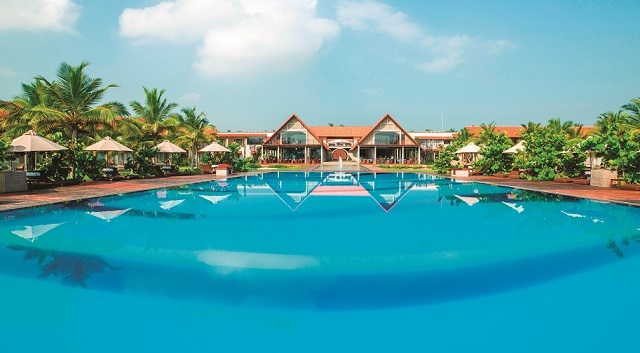 Located in the beachside town of Koggala, The Fortress..
Turyaa Hotel offers beachfront rooms with private balconies, Turyaa Kalutara boasts garden landscapes, an outdoor pool with bar and fitness centre. It offers free parking and 4 dining options. Free Wi-Fi is available in public areas. The spacious and.. Located 62 km south of Colombo on the south-west coast of Sri Lanka, Vivanta by Taj Bentota sits next to one of the country’s finest beaches. The impressive retreat is nestled in lush green gardens and has stunning interior designs and colonial-inspired..